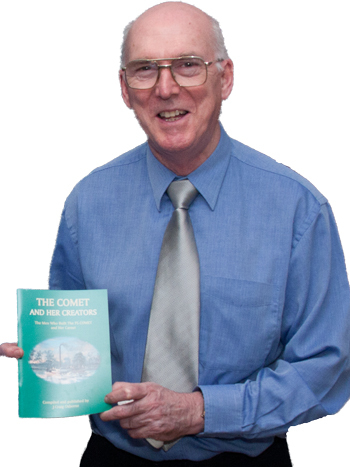 A COMPREHENSIVE booklet written in 2007 by J.Craig Osborne of the Scottish Maritime Museum on 'The Comet and her Creators' is still available. It tells and shows images of the men who built Henry Bell's Comet, telling the story of the inventor from his birth in Torphichen in 1767 and the men with whom he worked to build and operate the two Comet steamships. THE Bells and Helensburgh are inextricably linked with the history of the other. Margaret Bell, wife of Henry Bell, owner of the 'Comet' and Helensburgh’s first Provost, was a Seceeder who travelled to Dumbarton to worship. 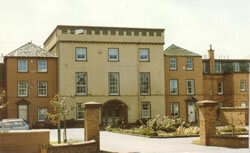 Later she opened her home, the Bath’s Hotel, for Sunday worship, arranging for a minister to come and preach there. A PAINTING of Henry Bell's Comet is now available as an A3 print. It is the work of noted Helensburgh artist Neil Macleod, and a limited number of prints were prepared to mark the 2012 Comet bicentenary. 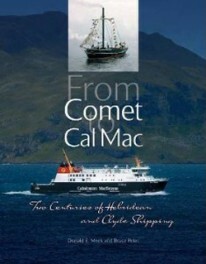 A BOOK which uses Henry Bell's Comet as its starting point, 'From Comet To Cal Mac', was published at the start of 2012, the Comet bicentenary year. Sub-titled 'Two Centuries of Hebridean & Clyde Shipping', it looks at the development and establishment of what we know now as Caledonian MacBrayne. 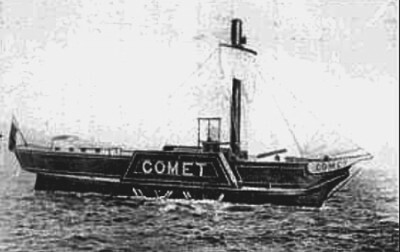 WAS a Comet replica built in 1912, the centenary year? 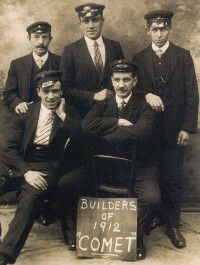 Helensburgh Heritage Trust director and local historian Alistair McIntyre came across this photograph of a group of five men, ranged round a sign stating "Builders of 1912 Comet". HELENSBURGH Tree Conservation Trust's Spring Planting in the spring of 2012 included a celebration of the Comet bicentenary. Members decided to plant 49 trees in Henry Bell Street to mark the occasion. The varieties werere Crataegus Rosea Plena and Pauls Scarlet. For pleasure or the Devil's work? 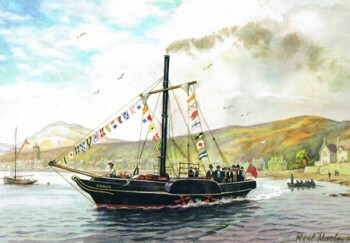 WHEN Henry Bell’s steamboat Comet started its career, it introduced the pleasure of spending a day at a seaside resort to Glasgow’s teeming population, eager for a breath of salt water air. But some thought it was the Devil's work.